2020 Sundowner 2286GM Toy Hauler with 20' Garage In stock now! Elite Living Quarters Call for availability! Tons on order and in stock! Exiss Living Quarters in Stock Now! Exiss Exhibitors in All Sizes in Stock! We specialize in service after the sale. Conveniently located in the heart of Northeast Texas on I-30 in Mount Pleasant. We strive to continue growing by putting our customers first. Service and satisfaction is our main goal along with maintaining knowledge of the economics and continuous changes of the trailer business. With our constant growth, we are able to give you the best deals around. 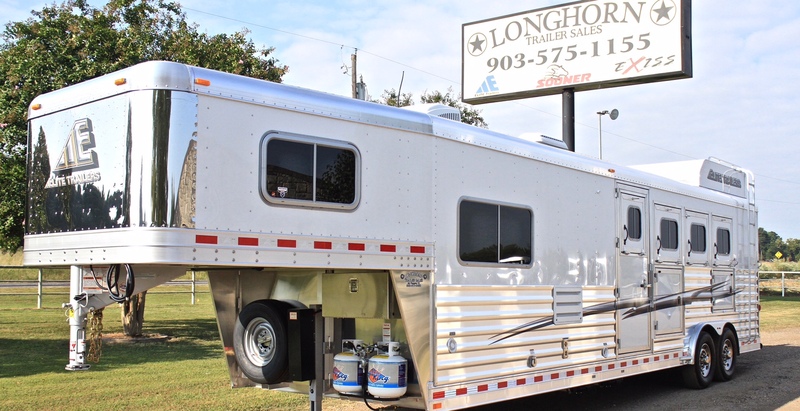 Longhorn Trailer Sales takes pride in selling top of the line new and used horse and livestock trailers. We carry a full selection of horse trailers with and without living quarters in a variety of sizes and floor plans. Check out the livestock trailers that we keep in stock with many different options.